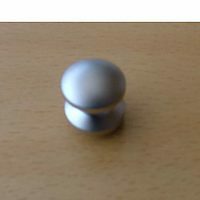 Hi I'm after the "push rim lock" that will accept the top and bottom rods for our wardrobe door. 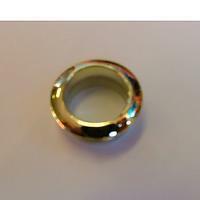 fixing centres are 63mm. Not sure if the "standard" ones are the correct type. 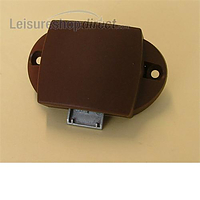 The rim lock that accepts the bar mechanism is our part 130180 (brown). This is normally used on a bathroom door where you have the hook type catches top and bottom. 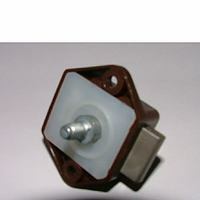 This lock is also available in white part 139218. Hi Tom, The bathroom door lock on my recently acquired Compass Corona 636 has lost its inside handle (you can get in but not out! ), but I have also noticed that there seems to be missing top and bottom catches which are operated via rods from the central lock. Any ideas on how I can get a complete new bathroom door lock assembly? 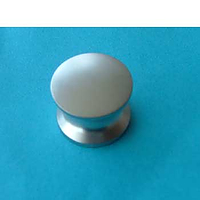 If you have a push button catch on your toilet door then you should be able to screw a replacement knob on the inside to allow the door to be opened from the inside, our part 130172. The actual lock that this fits to is our part 130180. From this lock, a rod is connected, our part 141091, which includes the hook that operates at the top and bottom of the door. The sleeving that covers the steel rod is our part 141090. There are normally two guides for the rods, our part 149635 and if you need the metal plates that fit top and bottom to accept the hooks then these are part 148158. On time and correct - correct fit - screw perfect! 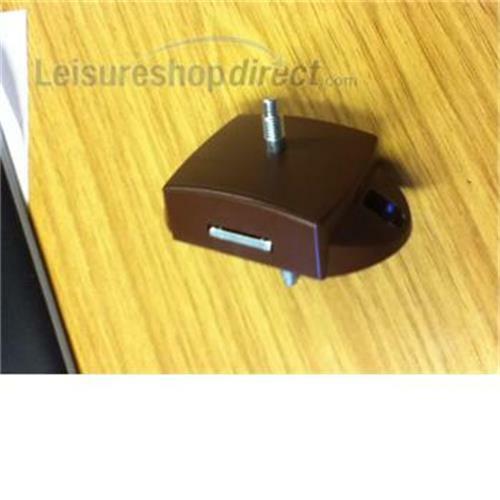 Toilet door lock had broken, as I have used leisureshopdirect before it was the first place I went to. It arrived promptly and I had it it installed within minutes. Perfect replacement. 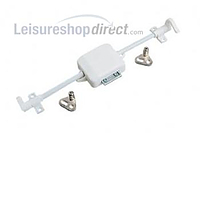 Bought this to replace the original Shower room door lock that had failed. Nice easy replacement, works well. Haven’t had the chance to fit this yet, but it looks like the one we need to replace and was dispatched very quickly. 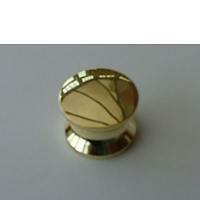 Arrived quickly and was a direct replacement for the broken original and was fitted in minutes. 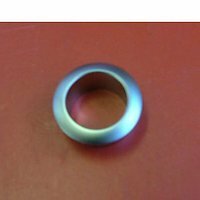 The rimlock was a perfect replacement and with next day delivery. Our campervan bathroom door was originally fitted with a 3 locator handle operated lock. I was struggling to find a replacement when the main lock mechanism failed. The rim lock although a pushbutton looked to be of the same make and my existing rods do fit and work with this lock, great. The only modification we had to make was to drill the hole in the door out a bit more to accommodate the push button mechanism, the drill kit only cost £2 so excellent. The only problem I have is that despite looking at this product and identifying that I needed to order the pushbutton and rosette, I didn't see any fittings shown for the internal mechanism. A "Rim lock for Touring Caravans (standard) for bathroom door". Now this is a part that I thought would be difficult to obtain, but I was surprised when I found it on leisureshopdirect. The lock is an original part that is fitted in a lot of caravans with 2 screw fixings to hold it in place, your original knobs just screw on exactly the same so it didnt take a brain surgeon to fit it and I completed the task in less than 5 minutes. The only thing I didnt like about the product was it's name, if I didnt know what it was called I would not have found it.